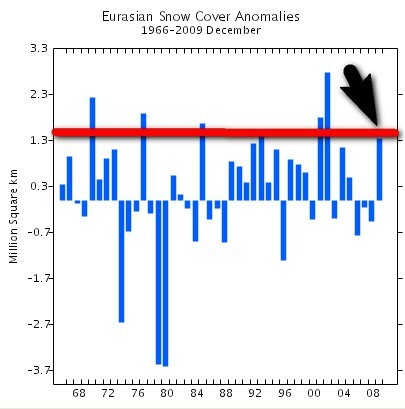 The current Northern Hemisphere snow cover as monitored by Rutgers University. 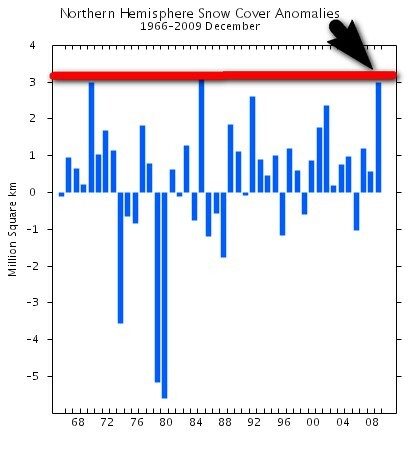 The December value was in the second highest during this period of record. 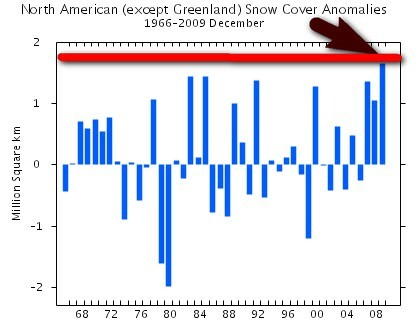 Regarding North America the December value was in the highest during this period of record. And regarding the whole of Euraisa the December value was in the sixth highest during this period of record. This entry was posted on 6 januari, 2010 at 6:20 e m and is filed under Fri- och rättigheter, Miljö - Environment, USA, Yttrandefrihet. You can follow any responses to this entry through the RSS 2.0 feed. You can leave a response, or trackback from your own site.